TWO FINALS ALL IN ONE LOCATION! 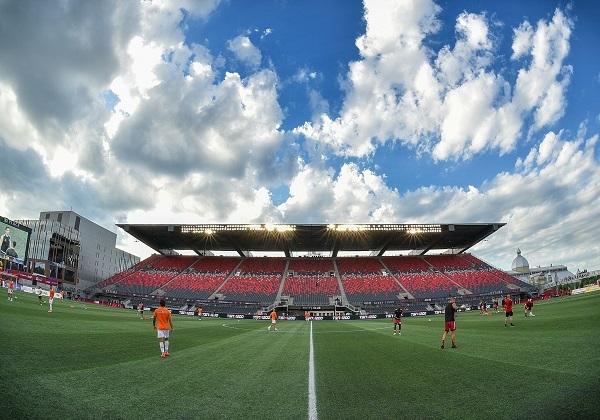 Ottawa Fury FC are happy to announce that the Boys U18 ERSL Shield and Cup Finals will be taking place right here at TD Place on Sunday, August 19 at 11 a.m. The Ottawa Sport and Entertainment group will be hosting two final games in 2018, representing the U18 ERSL Shield and Cup Finals. The event will run from 11 a.m. to 3 p.m. and is open for anyone to attend throughout the day. More details about this event will be sent to you closer to the date from the ERSL and OSEG. If you want to learn more about how to play on our field here at TD Place check out our new Fanatics Future Stars Program. This program involves you and your youth soccer team playing on the same pitch as Fury FC here at TD Place on a match day. For more information about the ERSL Shield and Cup finals please contact Shannon Holder at GM@ersl.ca or call 613-234-6429. For more information on how to sign up for this new Fanatics experience, contact Nicholas Ryan at nryan@oseg.ca or call 613-232-6767 x 8204. Fanatics! Did you know that Fury Fun Day is coming back this July 29 here at TD Place? If your child is between the ages of 6-11 they will have the chance to play outdoor soccer all day while sharing their stories with their favourite Fury FC player and Sparky too! On a nice summer night, Lansdowne has plenty of options to keep you busy, entertained and well fed as you kick off your weekend with your friends and family. Follow us for behind the scenes access, giveaways and exclusive offers.